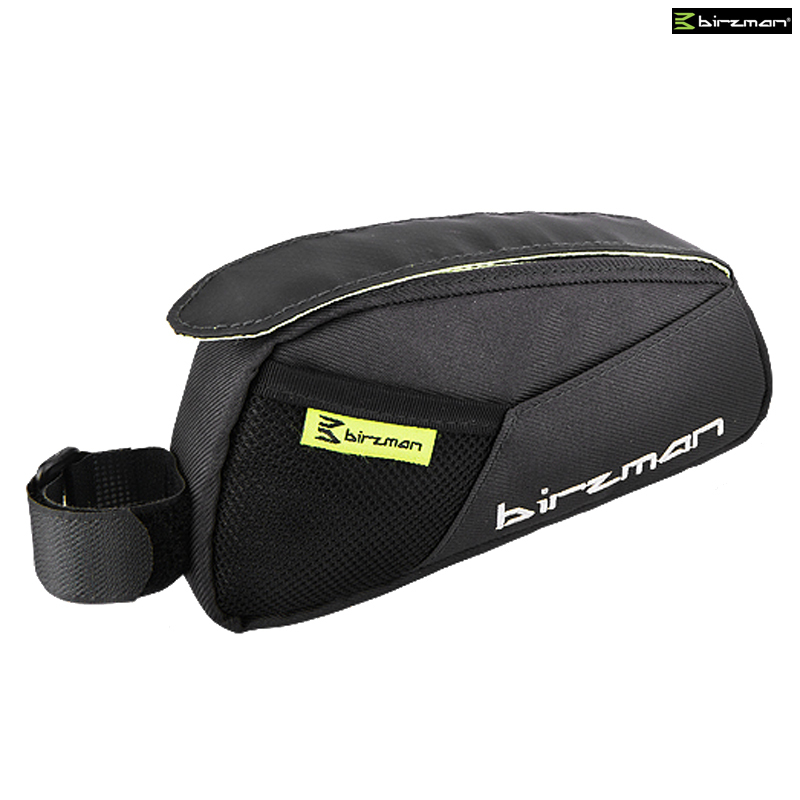 A midsize top tube bag designed for easy access of all necessities during a ride. Velcro top access for easy entry and reach of tools, energy bars, phone, money or any other small gear with rain cover. It only seems to have one velcro loop. There is a second Velcro loop that fits around the top-tube that is not shown in the photo.